a: "And I Will Be with You"
b: "Don't Go Breaking My Heart/You Alone"
The cover of Elton John & Kiki Dee's "Don't Go Breaking My Heart" has the awesome Kim Shattuck (The Pandoras/The Muffs) helping out on vox. Pretty awesome. From the album entitled Angel Witch, naturally. b: "How High I Was"
Of course, there is a pretty excellent video for this single. a: "Another One Bites the Dust"
Rilly big hit with a peculiar b-side. In case you are wondering what the original versions of these songs sounds like: "Anthem" by Godflesh and "Lava" by Ministry. b: "Love Is Making Me Tired"
Such a great single, both the A side and the B side. Music Behind the DJ: “Calcutta” by Les Baxter. Cover image: Veronica Lake in I Married a Witch (Clair, 1942) for obvious reasons. 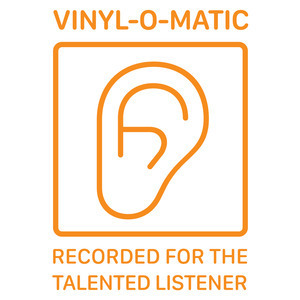 If you are a fan of podcast applications, you can use https://vinylomatic.fireside.fm/rss to subscribe. 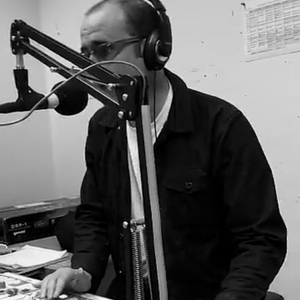 If you enjoy listening to Vinyl-O-Matic, please consider becoming a member of KWTF or providing a one time donation. We are a small but growing radio station and could greatly use your assistance. Want to be the first to find out when new episodes are archived? Sign up for the Vinyl-O-Matic newsletter.